The world into which Fraser & Ellis was born. The very beginnings of Fraser & Ellis read like the opening chapter of a Jeffrey Archer novel. Two chums enlist together, fight alongside each other through the carnage that was The Somme and, with the coming of the peace, form a business partnership. Trading in partnership as Foundry Agents, from January 1919, (unbelievably, accounts still exist for that very first trading year ended 31st January 1920 and all subsequent years!) 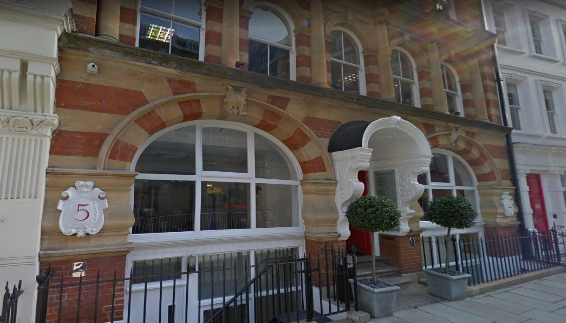 Colin Fraser and Vic Ellis soon outgrew both their Warwick Street premises and their partnership status. 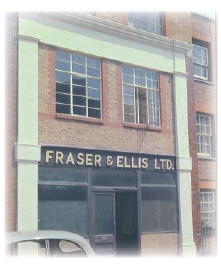 Thus in 1923 Fraser & Ellis Ltd was born and moved to premises in Portsea Mews, Marble Arch in order to have some storage capacity. 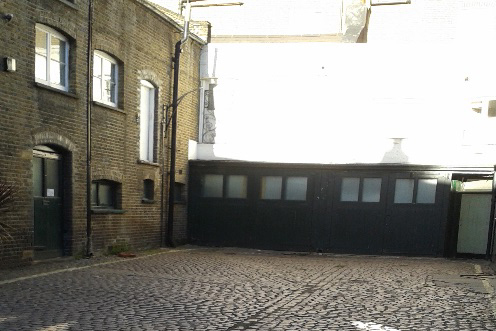 By 1926 they had outgrown these premises and moved to their familiar Old Church Street home. At this point it may be appropriate to question why Fraser & Ellis not Ellis & Fraser (which would have pushed the company further up future Yellow Pages listings)? The answer was a simple toss of a coin, a method used one hundred and fifty years earlier to determine that Epsom hosts the Derby each year, not the Bunbury, and still used to determine a hung parliamentary election. Roy Fraser (Colin’s son who joined Fraser & Ellis in 1952 and is still involved in the business today aged 86!) relates how his father survived the Somme after being in the trenches through the First World War. 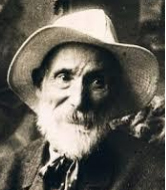 He and Vic Ellis founded Fraser & Ellis using their £50 earnings they had each saved from fighting in the same trenches. 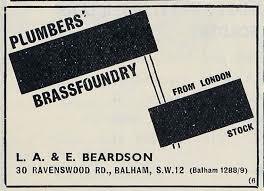 Both Colin Fraser and Vic Ellis had previously worked as ’juniors/office boys’ for Burn Brothers London Plumbers’ Merchants prior to the First World War. 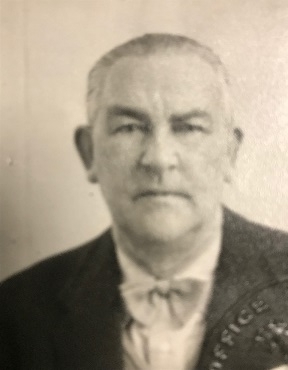 Roy has also mentioned that his grandfather William Jock Morrison Fraser (Colin’s father) was also employed by Burn Brothers prior to them becoming Plumbers’ Merchants. Burn Brothers were Plumbing Contractors in the early 1900’s, and it was William Fraser who had found endless difficulty in convincing Cyril Burn and his management team to acquire a large warehouse in Stamford Street SE1, to stock cast iron pipe and Plumbers materials, thus becoming London’s first Specialist Plumbers’ Merchant. Later their name was changed to Drainage Castings and then to Drainage Systems, Ashworth Frazer and finally Frazers (and have, ironically, ended up as direct competitors to Fraser & Ellis Ltd). Soon after the Second World War began in 1939 Colin Fraser set up an Engineering Shop (classified as ‘Essential Works’) within the warehouse in order to protect one of his daughters (Jean) as well as other skeleton staff from going into the war, to make hexagonal bomb noses on lathes – after the screw cap noses had been checked with a micrometer, they had JF stamped on them (Jean Fraser). 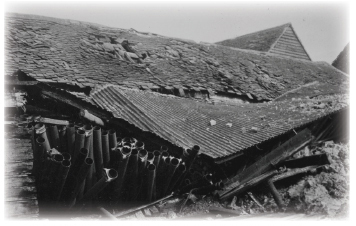 Also Jean (now 96 years old and living on the Isles of Scilly) was enrolled to do ‘Fire Watching’ patrolling the Chelsea Streets once or twice a week – seeing flares and hearing planes as well as bombs and sirens going off – sleeping amongst the manhole covers, baths, WC’s, drainpipes and gutters in the basement, Jean often clambered into an old cast iron bath with a pillow and rug, to try to get some sleep, and to feel a little more secure from any blast, but found it to be so eerie! She recalls one night during a ‘blackout’ having both Vic Ellis and Colin Fraser dive on top of her on the pavement when a doodlebug came over their heads in Old Church Street. Another time Colin and Jean arrived for work to find Chelsea Old Church as well as part of Fraser & Ellis had been bombed by a parachute land mine. 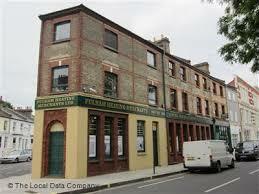 Most of Fraser & Ellis’ frontage remained – but unfortunately the Church caretaker ‘Robbie’ was killed. 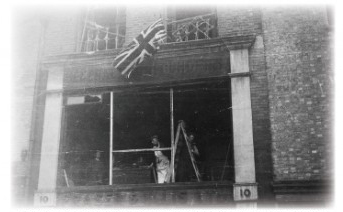 Colin Fraser and Vic Ellis continued to work from their office even though the frontage had been blown out, a Union Jack flag was hung above the frontage instead! Jean recalls often sleeping in the offices and remembers seeing the reflection of massive fires over the river on the panelled walls of the office. 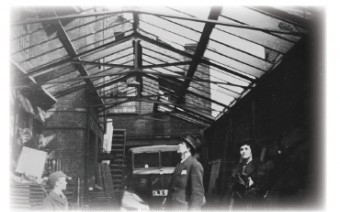 Her stock cabinet desk window overlooked the river so when the flag went up over Morgan Crucibles building (south of Battersea Bridge) signalling “air raid approaching”, Jean had to warn all the staff, whereupon everyone fled to the basement. 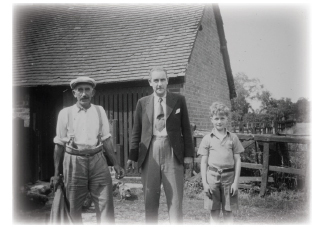 At the beginning of the Second World War, Colin and Vic acquired Henfold Farm at Beare Green near Dorking, run by Ted Moult (which is currently a horse riding school) in order to carry a large proportion of Fraser & Ellis’s stockholding should the Chelsea premises be bombed, the view being that the stock would be safer than in London…there were also 16 acres of fields where dozens of chickens lived and many vegetables were grown. 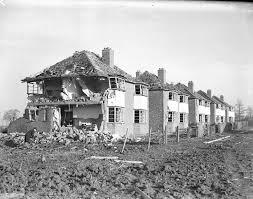 A service garage and offices were also purchased on the A24 for possible use if the Chelsea premises were bombed. 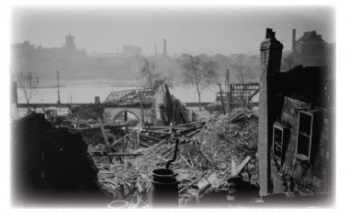 Ironically a stray 500lb bomb landed right in the centre of the barns and made a huge crater – it was assumed the pilot was getting rid of his load, which would have been destined for London, so that he could get home safely by avoiding the anti-aircraft guns which surrounded the London area. Vic Ellis’ house in Streatham took a direct hit. Luckily the whole family were staying elsewhere that night. Jean, Colin Fraser and Vic Ellis went to the house the following morning to see whether anything could be salvaged, an almost impossible task. Jean still remembers how dreadful it was and the horror of it all. On another occasion thieves backed their lorries into the yard at Fraser & Ellis, stealing pipes and gutters. By the time the Second World War ended Fraser & Ellis employed thirty-four staff. 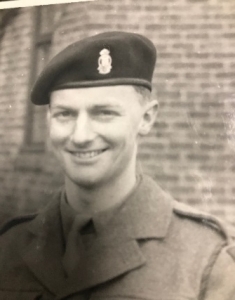 In 1950 Roy left Cranleigh School and began to work at Hall & Co. in Tadworth to learn the trade, but by 1951 he was required to do his National Service, joining Fraser & Ellis on his demobilisation in 1952. It was also in 1950 that Fraser & Ellis acquired Watford Foundry, making Cast Iron Rainwater products. 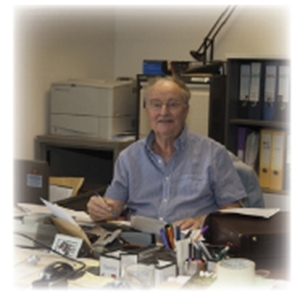 Ian Fraser, having gained a B.com in Metallurgy, managed Watford Foundry for some years, joined the main operation of Fraser & Ellis in 1958. With the dawning of the nineteen sixties, Colin Fraser and Vic Ellis passed on the business to their sons Ian and Roy Fraser and Bryan and Donald Ellis. Sadly Colin Fraser died in 1961, followed in 1964 by Vic Ellis and tragically in 1966 Donald was killed in a car accident, just around the corner from his office. His brother, Bryan, subsequently decided to leave the business. Therefore Ian and Roy Fraser took over Fraser & Ellis Ltd. on their own. 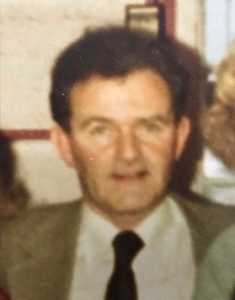 In 1993 Paul Fraser (Roy’s son) joined the business following seven years working for various Plumbers & Builders Merchants in order to learn the trade. By 1996 trading from Old Church Street was becoming increasingly difficult. Traffic and parking restrictions were strangling the business and parts of the property were in urgent need of repair, including bomb damage from some fifty years previous. The decision was taken to sell the premises and acquire a more “user friendly” warehouse, still close to the company’s Chelsea heartland. Old Church Street had been “home” for over sixty years with neighbours including Eric Clapton, Mick Jagger, Elaine Paige and the future Duchess of Cambridge! 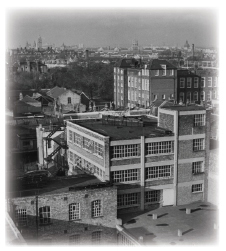 The move was a wrench, but premises were found just across the river in Howie Street, best known now as home to the Royal College of Art, but more of that later! 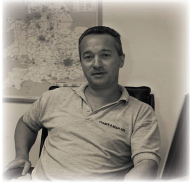 In 1997 Paul took over the business from his father and his uncle, acquiring the following year an old established Balham Merchant called Beardson & Co, whose staff, stock and customer-base he integrated with his own. This boost to stock and turnover was supplemented in 2001 by similarly taking over Smith Brothers Stores’ undertaking in Battersea Park Road. 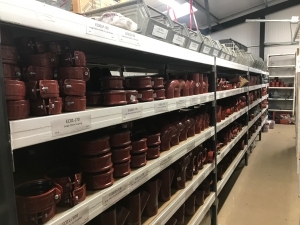 Fraser & Ellis was thus consolidated and became renowned as having the most comprehensive and eclectic stock of any Plumbers’ Merchant in London. 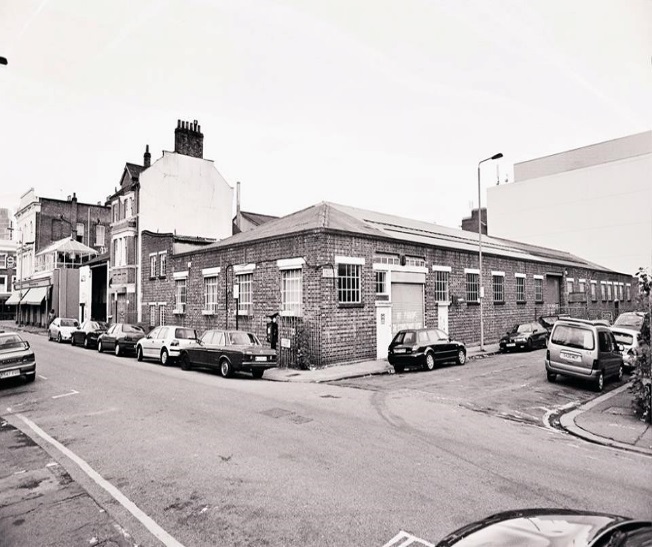 By 2005 the inevitable growth of Fraser & Ellis’ neighbours, the Royal College of Art necessitated another move, this time to Gwynne Road, near to Battersea Heliport. Perfectly sited adjacent to the two essentials for a successful Plumbers’ Merchant (a snack van and a Heliport) Gwynne Road served well until growing residentialisation of the immediate area made it untenable from an access and parking point of view. In 2015 an alternative was sought, with its essential prerequisites being parking and ready access to central London. After a protracted search Fraser & Ellis moved during the Christmas holiday 2016 to a purpose-built warehouse, on an industrial estate with its attendant ease of access and plentiful parking yet sited less than a mile from Chelsea Bridge. True that this site is further from the Heliport, but few of our customers seemed to use it! This move coincided with a further acquisition, that of the much respected, old established business of Fulham Heating, which served to further broaden Fraser & Ellis’ stock profile and customer base. 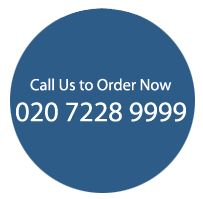 Now settled in to their Broughton Street premises and established as one of London’s Premier Plumbers’ Merchants with an enviable portfolio of customers ranging from small family undertakings to vast multinational conglomerates, Fraser & Ellis look forward to the next hundred years! 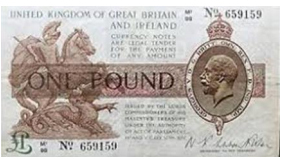 1919 David Lloyd George was Prime Minister, London’s average house price was £325 whilst in Kensington & Chelsea it was a heady £400 (coincidentally the same as the Prime Minister’s salary). Former American President Theodore Roosevelt had just died as had the King’s youngest son, Prince John. Yet to come, later in the year, Army & Navy Stores and Citroen Motors had yet to be founded. 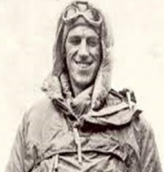 John Alcock and Arthur Brown were yet to become household names as the first to fly the Atlantic; when Fraser & Ellis was founded the only way to America was by sea! 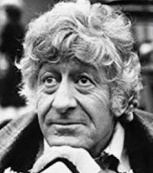 Everest conqueror Sir Edmund Hilary, crooner Nat King Cole, the charismatic Eva Peron, ballerina par excellence Dame Margot Fonteyn, king of the ivories Liberace, football legend Bob Paisley, time traveller Jon Pertwee and the wonderfully haunting Donald Pleasence. 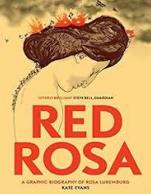 philanthropist Andrew Carnegie, philogynist and impressionist Pierre-August Renoir, master of varieties Henry J Heinz, revolutionary Rosa Luxemburg and the above-mentioned Sir John Alcock. 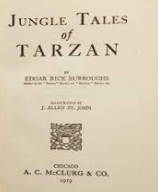 would have had the choice of the collected works of John Buchan, including The Thirty-Nine Steps, The Vital Message by Sir Arthur ConanDoyle or even Jungle Tales of Tarzan by Edgar Rice-Burroughs. could have grappled with The Economic Consequences of The Peace by John Maynard Keynes or The ABC of Communism by Nikolai Bukharin. The League of Nations (predecessor to the UN) was born. 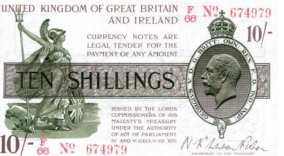 The Treaty of Versailles was signed, ending the First World War. Adolf Hitler joined the German Workers Party. Airship R34 made the first dirigible transatlantic flight. Edwin Lutyens’ London Cenotaph was unveiled. The Sweeney (Flying Squad) was created. “Just William” appeared for the first time in Home magazine. Future England captain Percy Hughes was Cricketer of the Year. Yorkshire narrowly beat Kent to the County Championship. Jack Cohen began selling surplus groceries in the East End of London, starting what would become Tesco.